You’re going to love being a mermaid in our mermaid tankini top! Featuring four-way stretch in a beautiful light purple color, it’s the perfect complement to our violet-hued mermaid scale bottoms! Our clamshell tankini tops tie around the neck for a perfect fit. Tankini top only. 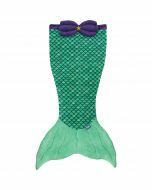 Match our unique solid shell-style tankini top to your favorite Limited Edition mermaid tail and you’ll be one stylin’ mermaid! Our clamshell design creates a unique look at the beach or pool that your friends will want too! But it’s not just for looks—it’s also comfortable! 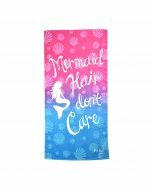 You’ll achieve the perfect mermaid look so effortlessly, while swimming with confidence. 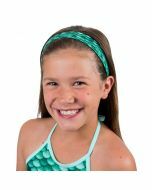 Fin Fun’s solid-colored tankini tops really pop when paired with our mermaid-scale bottoms and mermaid tails. 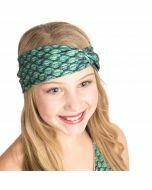 Get an ocean-worthy look that’ll capture the hearts of your sea-going friends!